1. It's a fantastic kinesthetic break for the students - they get to cut, fold, and glue while I let them chit chat. 2. Because each foldable is dedicated to a specific topic / learning outcome, it's a great way to "chunk" the information into more manageable pieces. 3. My students glue their foldables into a manila folder that is dedicated to one unit. (Astronomy, Plate Tectonics...) The folders stay in my classroom and only go home when they're needed to study for a test. At the end of the year I give students all of their folders (mine have 5 folders for 5 units) and they can study for their final exam. I know of some students who kept their folders from last year and are using them in classes this year!! 4. Students are required to think differently when creating a foldable - in my case I ask them represent a concept with a symbol or drawing on one part of their foldable. I've eavesdropped on some awesome conversations as students debate how they're going to represent "inorganic" or "erosion" with a symbol or drawing. 5. I love that the folder (with its foldables) consolidates an entire unit into one neat package. It's easier for students to see how all of the concepts link together. 6. Foldables can be used with every subject! 7. My students actually enjoy working on their foldables! I've seen student engagement increase, test scores improve and ultimately their overall understanding of a concept is much better! 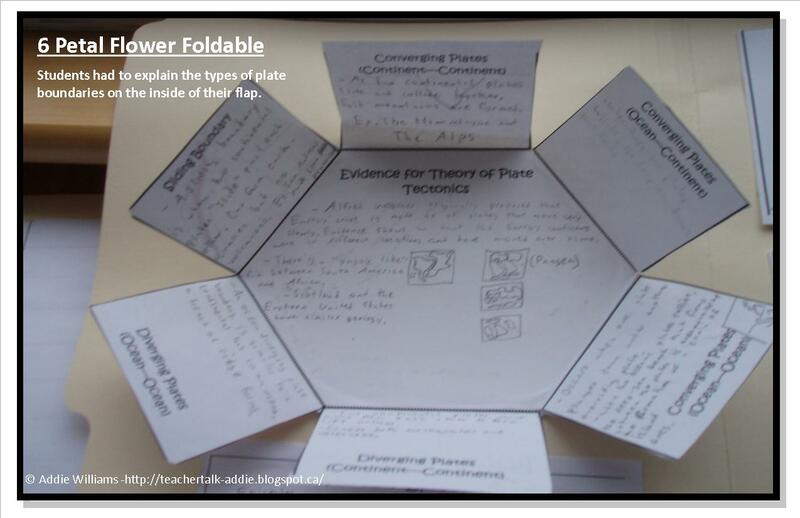 How many of you use foldables in your classroom? What grade level do you use them with? How do you find they work for you and your students? 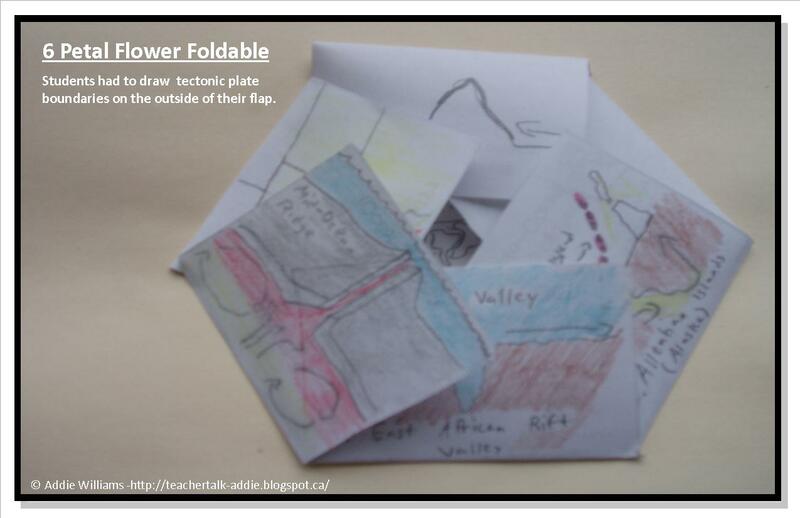 Love your ideas---we are now doing plate tectonics. Do you have the one you use above available on TPT? Would love to buy it for use with my fifth graders. - A few others... I find the best way to tackle them is to think of a concept and then think about how many points/ideas they need to know for that concept. Once I know that I can pick which foldable I will use. This is AMAZING! 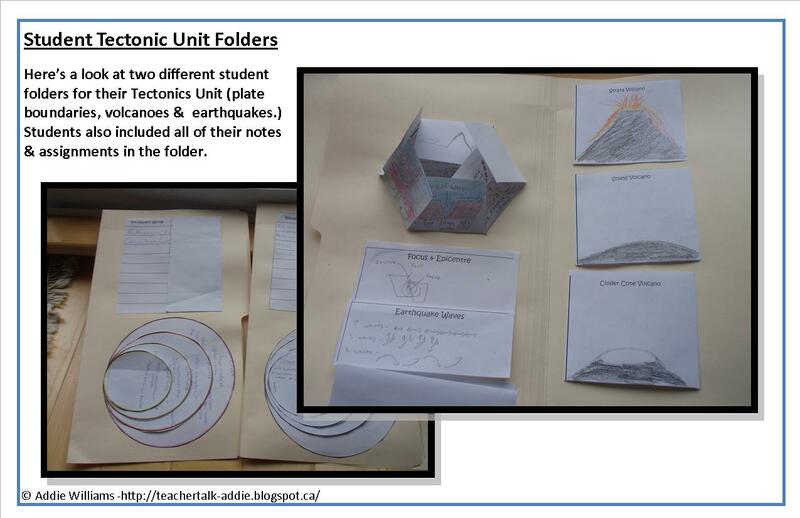 I love the idea of having the foldables in one folder for each unit! Thanks for the idea! Hi Addie, thank you for your idea! I first learned about foldables when I was at teacher's college and haven't looked back since. In fact, I just used one the other day for teaching IELTS test preparation on how to prepare for the listening portion of the test. Did you by any chance have the ppt templates of your foldables??? I'd love to use them at school.